Is your shoe dryer versatile enough to dry footwear in a variety of sports? Our shoe dryers have always been the best in the industry. 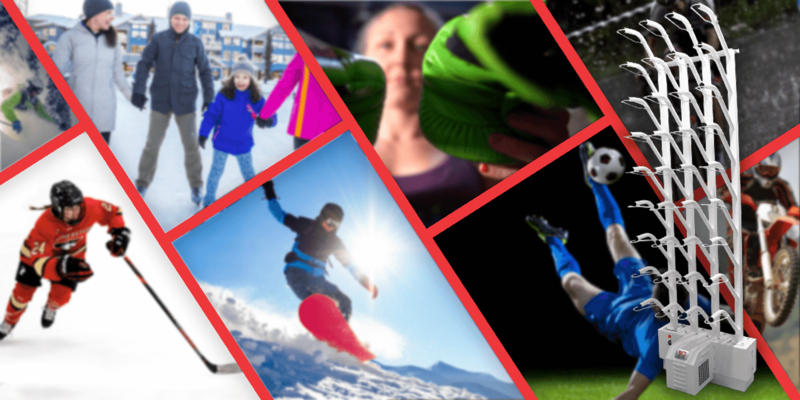 We’re proud to introduce a SportsDryer™ that is simultaneously a soccer boot dryer, cleat dryer, ski boot dryer/warmer and skate dryer, because no one wants to wear wet gear!! Williams Direct Dryers has always been ahead of the curve in our industry, and saw a need for sports dryers so that teams could keep their players’ gear safe from infection and warm and comfortable. Our shoe warmer is a portable dryer that is incredibly easy to transport, meaning you can transport this incredibly effective drying rack to and from games and use it on the spot. Each dryer has enough room to dry eight pairs of virtually any kind of sports apparel. The feet may be the most important tool an athlete has, and if his/her shoes are damp and uncomfortable it could affect performance. Not to mention raising the possibility of contamination. 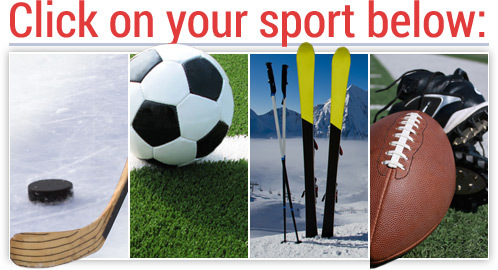 We’ve created a product that any sports team can benefit from, including yours! Cleat dryer perfect for baseball, football, track and field, etc. This is more than just a shoe warmer. This is a product that, despite its official weight of just 27 pounds with case, is a heavy duty dryer you can take with you to use on-site. In fact it is fully transportable and made from tough, welded aluminum. 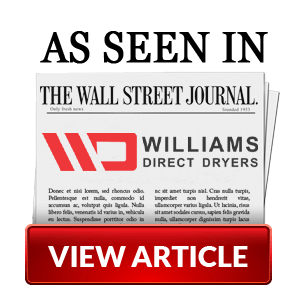 The Williams Direct Dryers name is as respected as any in our industry, and you’ll love the job this product does for you. Soccer is a taxing sport, and one that relies on the feet more than any other sport in existence. If the gear on a player’s feet is cold and damp, it can surely keep that player from optimum performance. Great sports performances are spurred by the right conditions, and the ability to dry a soccer boot on the sidelines during real game action is a luxury any team can benefit from. The SportsDryer™ from Williams Direct Dryers is the ultimate shoe dryer for athletic teams committed to keep their footwear safe and dry. Learn more about this revolutionary product, and make your team the beneficiary of its amazing abilities.